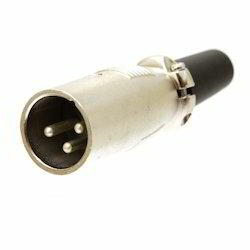 Leveraging the skills of our qualified team of professionals, we are engaged in providing Mobile Cable Audio Connector. We are one of the best manufacturer of 3.5 MM Stereo Jack. Speakon® Lockable Loudspeaker Connector / STX Series The new Speakon® STX Series is the next generation of 4 pole Speakon® connectors especially designed for loudspeaker - amplifier applications in harsh and demanding environment such as professional touring. The STX Series features a metal housing which is extremely rugged and durable; built-in gaskets make it weatherproof.